This color ranges from a white feather barred with the lightest medium ginger to a lightest medium ginger barred with the darkest medium ginger. 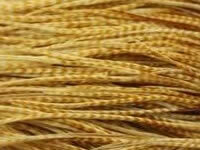 As a general rule this color is best described as a cream colored hackle barred with medium ginger. The barring can range from mostly light color with small ginger barring to a ginger feather with small cream barring and all points in between. All the photos are of the actual cape or saddle we have in stock. Whiting Farms Silver Grade Medium Barred Ginger Saddle #3058. This dry fly saddle ties predominately sizes #16 to #18. The photos shown are the actual photos of this dry fly saddle. This is a NEW UNUSED SADDLE. 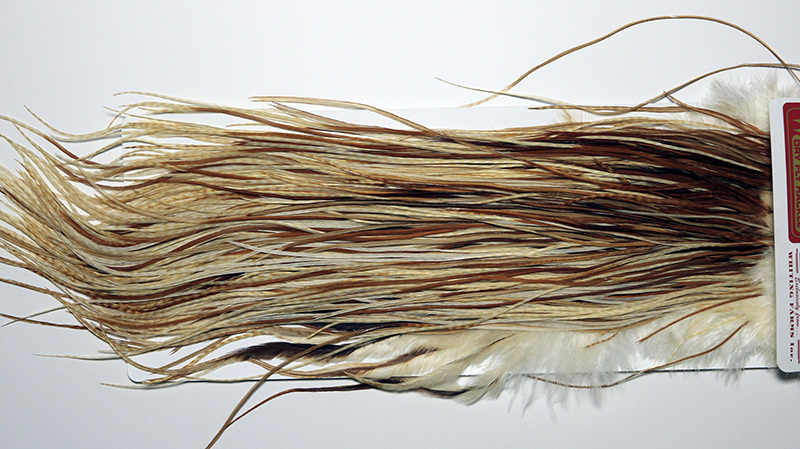 Fantastic hackle at a fantastic price. Whiting Farms Bronze Grade Medium Barred Ginger Midge Saddle #3272. This dry fly saddle ties predominately sizes #16 to #20. The photos shown are the actual photos of this dry fly saddle. This is a NEW UNUSED SADDLE. 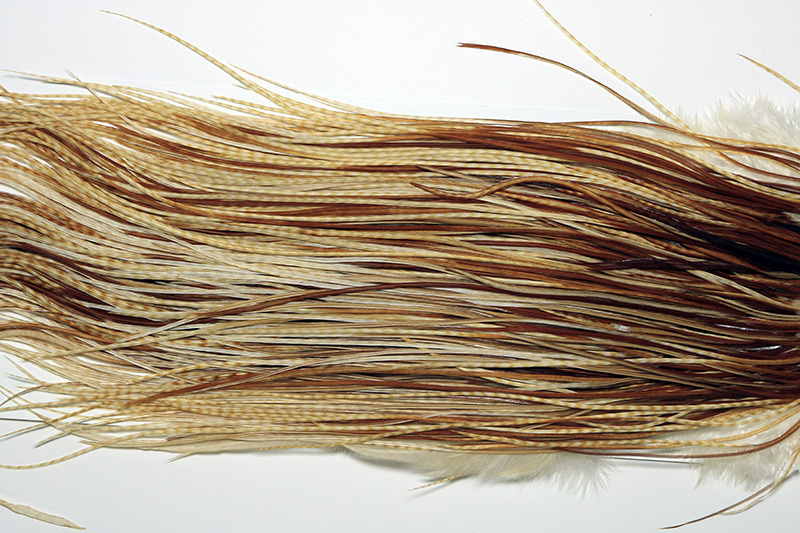 Fantastic hackle at a fantastic price.